At the beginning of May I had the privilege to lead a 3-day workshop at the Conservatorio di Musica Benedetto Marcello in Venice. Prof Paolo Zavagna, the coordinator of the New Technologies and Music Languages Department, kindly invited me to talk about research at the Integra Lab and to present the Integra Live application to his students. The workshop covered all aspects of interaction design and audio processing with the software, including an introduction to the Lua scripting language and an overview of the workflow for new module development using Module Creator and Pure Data. This visit was possible thanks to the Erasmus+ funding for staff mobility, and I cannot help thinking how much poorer the landscape of higher education in the UK will be if opportunities like this one, and indeed the whole system of European funding for education and research, were lost after Brexit. The class of around 15 students was very lively and attentive, and I thoroughly enjoyed interacting with them. Indeed, I learned as much as they did during three days of working together! All students contributed to the debate, but special thanks go to Simone Sacchi, who volunteered a pd patch that we managed to convert successfully in a Delay-Freeze Integra module, and to Emanuele Frison, who built a clever and complex Integra project and managed to unearth a well-hidden bug in the program that we are now investigating in depth. 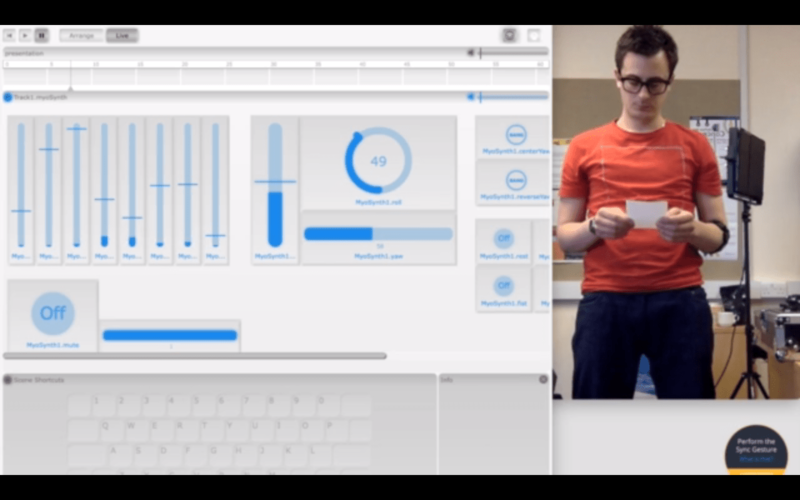 After outlining the music technology research that goes on at Birmingham Conservatoire and presenting the various operations of the software the students started working on their individual projects, and after two days of committed work six of the students presented a public performance of their pieces realised using Integra Live. They were Francesco Peccolo, Leonardo Bonetti, Giovanni Dinello (who had just returned from a term in Birmingham as an Erasmus+ exchange student), Filippo Santello, Emanuele Li Calzi and Claudio Bellini. The pieces ranged from Leonardo Bonetti’s tambourine performance featuring intense, extreme sonic outbursts to Giovanni Dinello’s poem-based, voice-controlled interaction built on synthesised sounds subtly shadowing the input signal, to several fascinating soundscapes performed live via external midi controllers and iPads. To get an idea of the richness and variety of the final performance please listen to the recording below of Claudio Bellini’s Bitcoin, where a number of simple metallic sounds are skilfully used to create a progressively complex sonic world controlled live via TouchOsc on the iPad. The Benedetto Marcello Conservatory of Music occupies one of the great ancient Venetian palaces, the Palazzo Pisani just off San Stefano’s square. It is an evocative, magical but also slightly unnerving environment for anyone working with technology. The weight of the past and the imposing architecture are ever present, and lead us to put in perspective the meaning of our work and our artistic intentions. I am sure that after a while this becomes second nature, but during my short stay in Venice I could certainly feel the overbearing presence of History all around me! This was a great opportunity to build new contacts and look at potential collaborative projects for the future. Prof Zavagna will hopefully visit Birmingham next year, and we are also both very keen to look into the possibility of organising a visit and a concert of his students in Birmingham and one of our students in Venice. It would be a wonderful way of strengthening our links, learn from our different practices and enrich both the way we teach and the experience of our students.